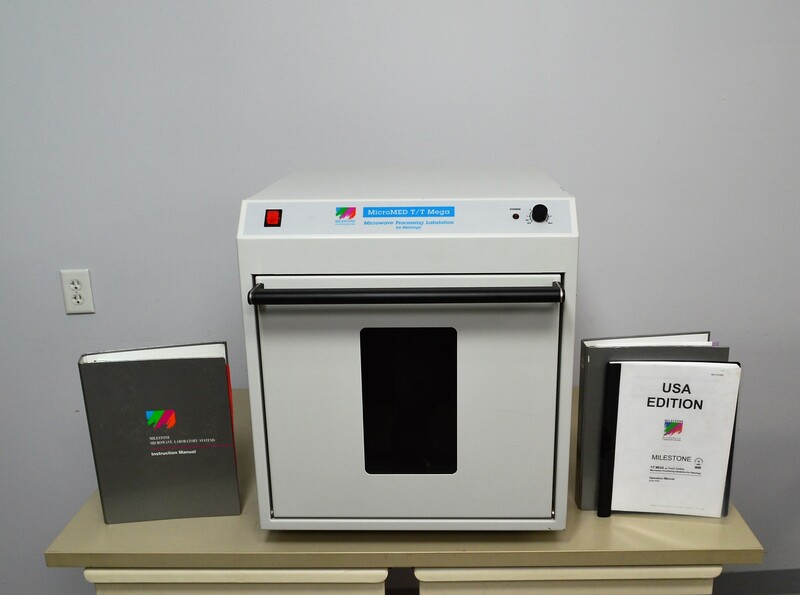 Milestone MicroMED T/T Mega Microwave Unit Tissue Processing Histology . New Life Scientific, Inc. The Milestone MicroMED T/T Mega Microwave Unit is in good cosmetic condition with normal wear. New Life Scientific techs did test this unit to power on, heat up and stirring function. This instrument is warranted to be functional and is protected by our 90-day warranty. Our in-house technicians did a visual inspection of the Milestone MicroMED T/T Mega Microwave unit. The unit was tested using a loaner terminal (not included) and all was found to be in good working order. The microwave internally and externally is clean and appears ready for pairing with the Terminal M controller (not included). It was powered on and the stirring function was checked. The knob located on the front panel controls the stirring speed and the switch(es) work. The microwave processor requires a touch control panel (terminal M) to manage functions and store programs, but it was not acquired with this instrument. The user may wish to use this as a replacement microwave for an existing system that is weak or has an additional controller. The user will need to supply to I/O interface cabling (RS422/485 and RS-232). Please note the microwave will not perform as intended without the correct controller; please check all part numbers and ask questions prior to purchase, if you are uncertain about compatibility.